The six Gulf states demand an immediate halt to Iran's "interference" in their internal affairs. The six Gulf states sharpened their tone against Iran on Tuesday, demanding an immediate halt to its "interference" in their internal affairs while urging a rapid political transition in its ally Syria, AFP reported. 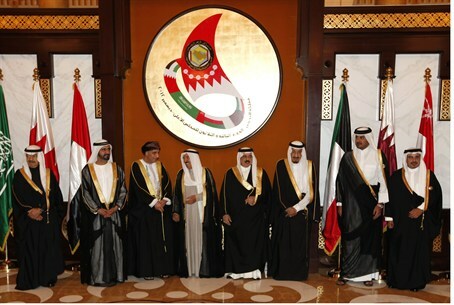 Concluding a two-day summit in Manama, the Gulf Cooperation Council members voiced support for Bahrain's Sunni minority regime while lashing out at Tehran, which they accuse of fueling a Shiite-led uprising in the host country last year. In a joint statement, the GCC countries said they "reject and denounce" Iran's "continued interference" in their internal affairs. The statement added that Tehran must "immediately and completely stop these actions and policies that increase regional tension and threaten security and stability". The six states -- Saudi Arabia, Qatar, Bahrain, Kuwait, Oman, and the United Arab Emirates -- also condemned Iran's "continued occupation of the three Emirati islands" of Abu Musa, Greater Tunb and Lesser Tunb, which lie in the strategic Strait of Hormuz entrance to the Gulf. In addition to the dispute over the islands, relations between Iran and most GCC states have been further strained since Gulf troops rolled into Bahrain last year to help put down the Shiite-led protests. The regional powers have also taken opposite stances towards the Syrian crisis. While Tehran has openly supported President Bashar al-Assad's regime, GCC members Saudi Arabia and Qatar have called for arming rebels fighting regime loyalists. In their Tuesday statement quoted by AFP, the GCC monarchies expressed "deep sadness over the continued shedding of blood by the regime and the destruction of cities and infrastructure, making political transition a demand which must be rapidly implemented." They also urged the international community "to make a quick and serious move to end massacres" in Syria and provide humanitarian assistance to the people. Kuwait's emir Sheikh Sabah al-Ahmad al-Sabah announced Monday a donor conference on behalf of civilians caught up in the Syrian conflict to be held on January 30 at the request of the United Nations. The GCC states also affirmed their support for the newly-formed opposition National Coalition "as the legitimate representative of the Syrian people."